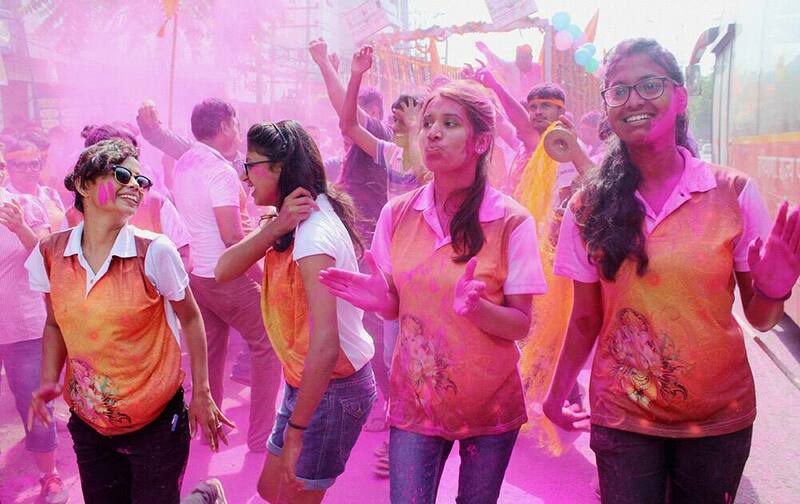 Devotees dance as they arrive to immerse Lord Ganeshas idol during Ganesh Chaturthi celebrations Damdma lake in Gurgaon. 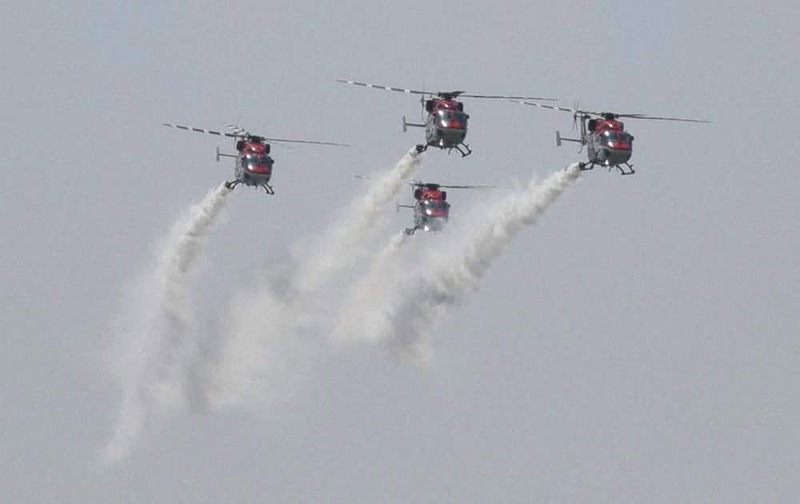 Indian Air Force’s Sarang helicopters perform during the 83rd Anniversary celebration of Indian Air Force at the ‘Air Fest-2015’ in Nagpur. 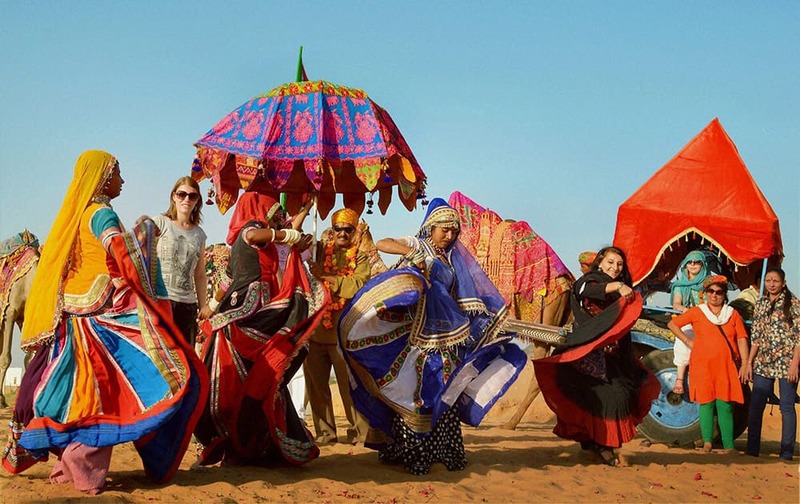 Foreign tourists dance with local artists on the occasion of World Tourism Day in Pushkar. Bollywood actress Gul Panag showing her support to Ex-servicemen agitating for One Rank One Pension (OROP) at Jantar Mantar, in New Delhi. 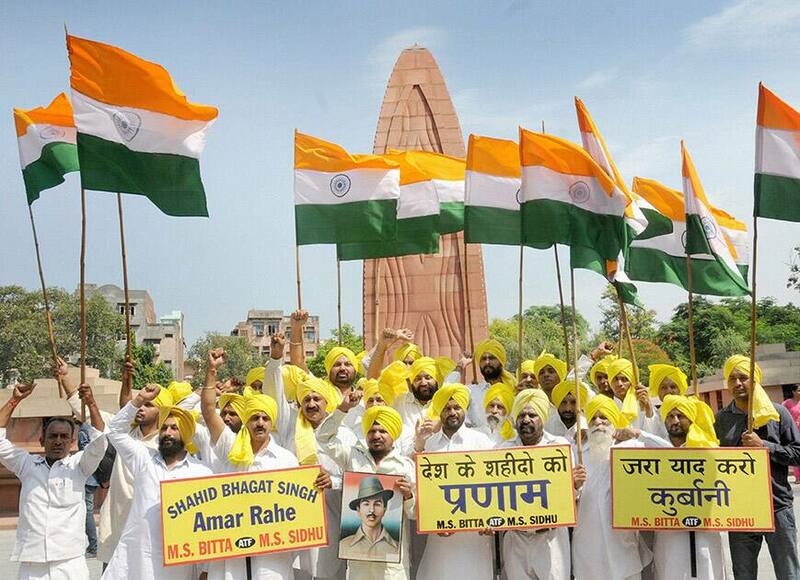 All India Anti Terrorist Front, raising patriotic slogans and paying tributes to Shaheed Bhagat Singh on his 108th birth anniversary at Jallianwala Bagh in Amritsar. 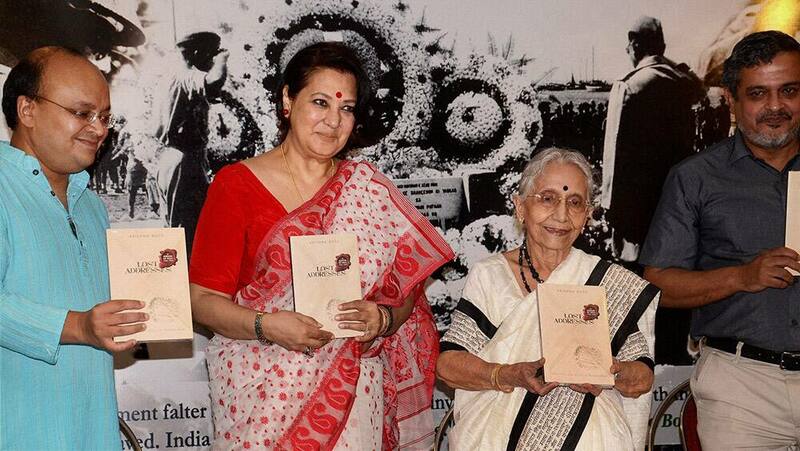 Film actress & Trinamool Congress MP Moon Moon Sen during release of the book Lost Address on Neataji Subhash Chandra Bose written by his niece Krishna Bose (2nd R) at a function in Kolkata. 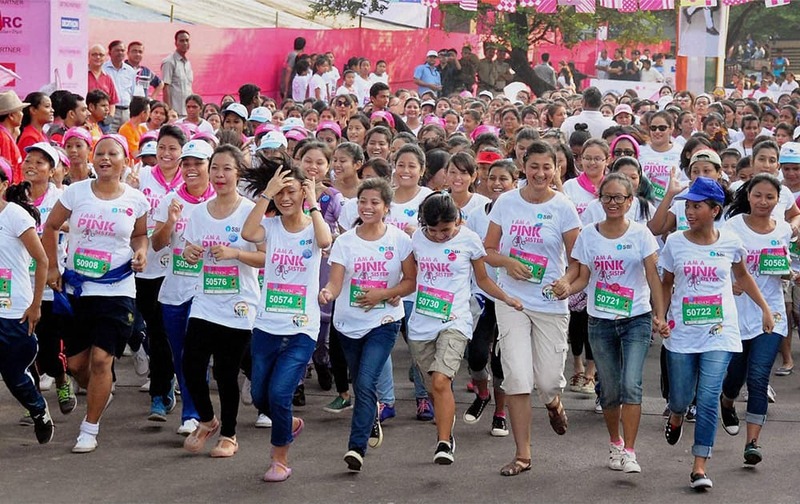 Girls taking part in the Pinkathon run organized to encourage women’s health and fitness in Guwahati. 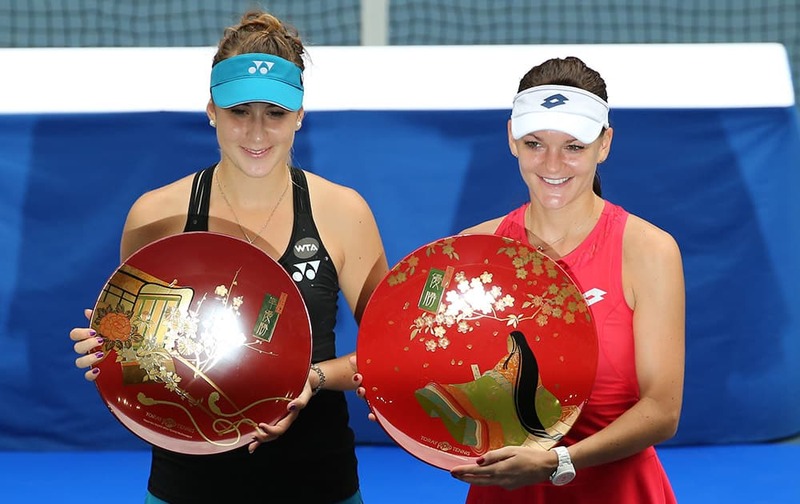 Agnieszka Radwanska of Poland, right, holds the championship trophy along with runner-up Belinda Bencic of Switzerland, left, after defeating Bencic in their women's singles final at the Pan Pacific Open women’s tennis tournament in Tokyo. 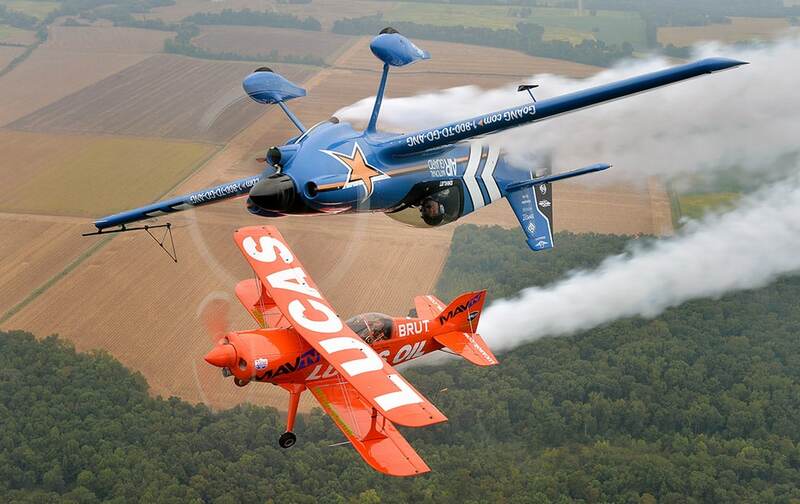 John Klatt and the Air National Guard MXS (top) and Mike Wiskus and the Lucas Oil Pitts take to the skies at the Memphis Airshow, in Millington, Tenn.
A fan holds a Brazilian flag during the Ultraje a Rigor show at the Rock in Rio music festival in Rio de Janeiro, Brazil. 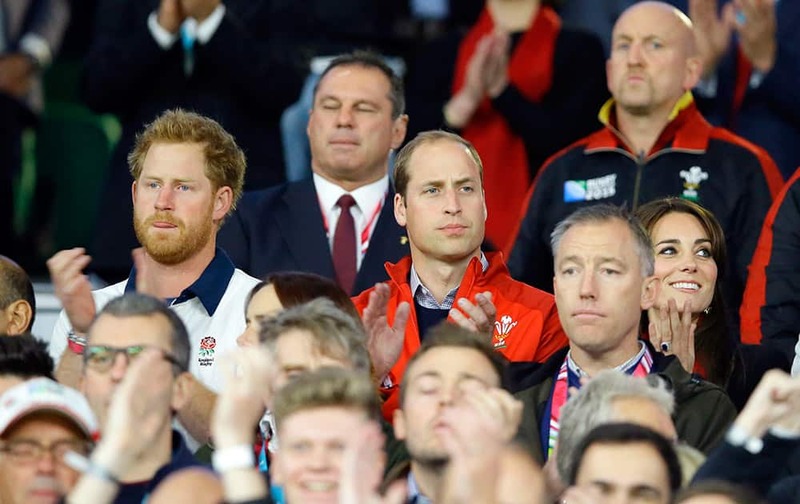 Britain’s Prince William, Kate, the Duchess of Cambridge and Prince Harry, left, applaud after the national anthems ahead of the Rugby World Cup Pool A match between England and Wales at Twickenham Stadium, London. 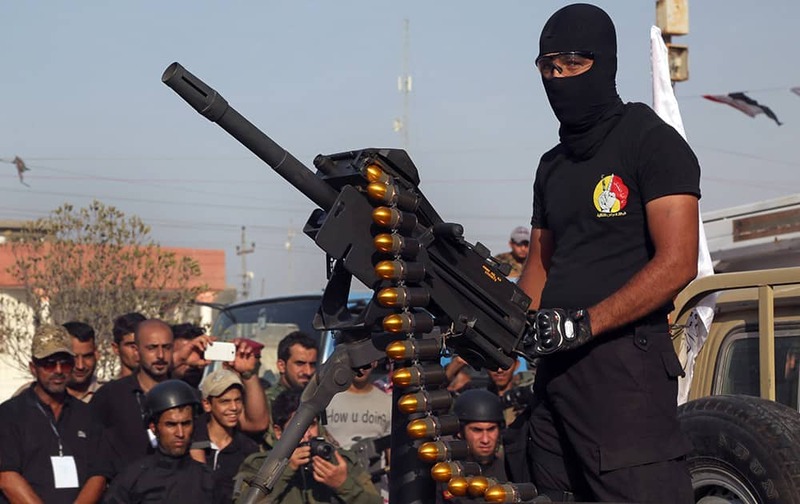 A members of the Abbas combat squad, a Shiite militia group, wearing a shirt with the group's logo, mans a gun atop a vehicle during a military parade in Basra, 340 miles (550 kilometers) southeast of Baghdad, Iraq. 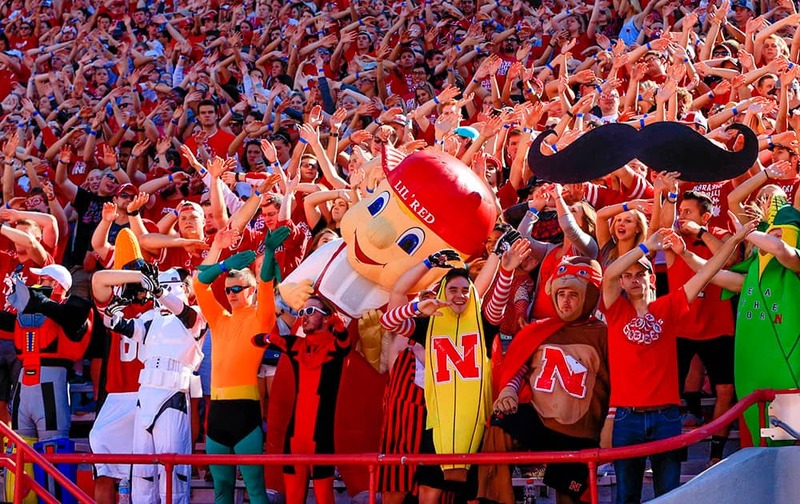 Nebraska mascot Lil' Red joins fans as they celebrate a Nebraska touchdown against Southern Miss in the first half of an NCAA college football game in Lincoln, Neb. 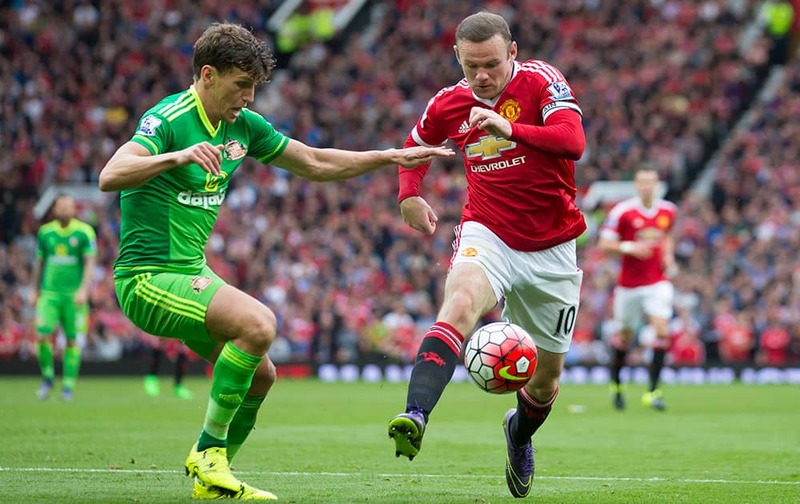 Manchester United's Wayne Rooney, right, fights for the ball against Sunderland's Billy Jones during the English Premier League soccer match between Manchester United and Sunderland at Old Trafford Stadium, Manchester, England. 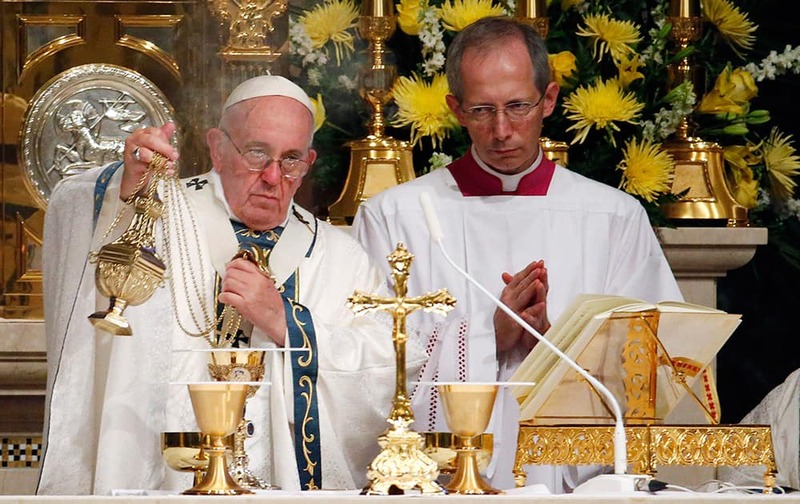 Pope Francis blesses the bread and the Blood of Christ during a Mass at Cathedral Basilica of Sts. Peter and Paul, in Philadelphia. 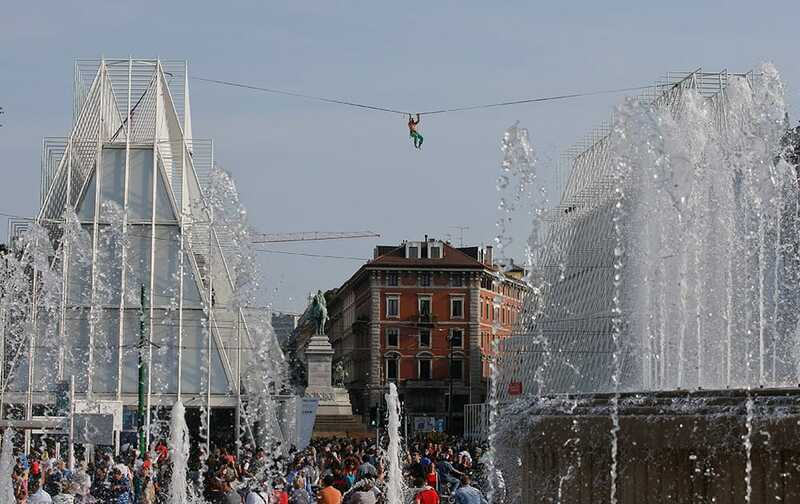 Sirio Izzo, a tightrope walker, performs in 'Highline' during 'Stra' Street Artist Festival in Milan, Italy. 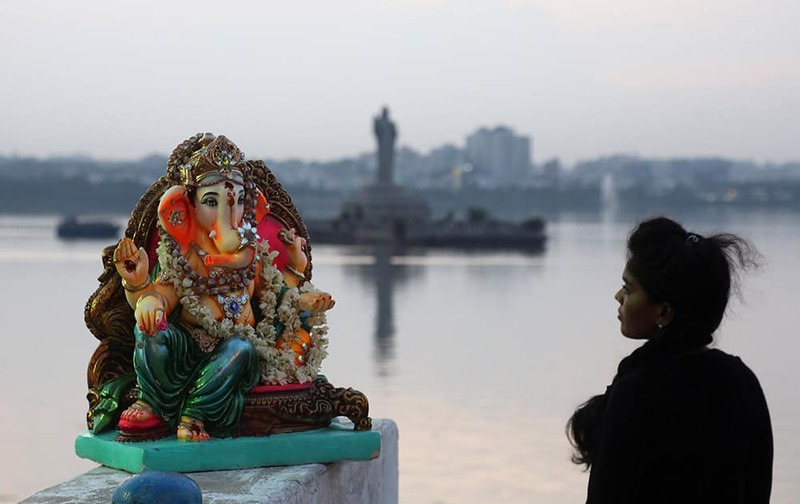 A woman stands near an idol of Hindu elephant-headed God Ganesha before immersing it in Tankbund during Ganesh Chaturthi festival celebrations in Hyderabad. 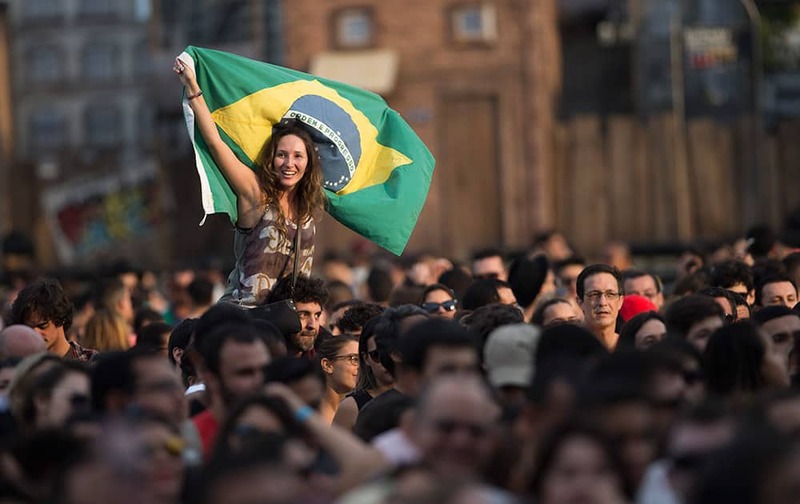 Animal rights activists lay on the ground covered in fake blood during a protest against animal suffering and meat consumption as part of the World Day for the Abolition of Meat in Paris, France.